Hello wonderful frankwealth followers and fans, it's been a while, hope you guys are doing greatly? Today, I want to share with you guys, some few business secrets that will transform your lives and take you away from the unemployed graduate population and place you on reliable, sustainable gainfully employed youth. Whenever I write or delivering entrepreneurship or business mentorship lecture, I prefer to lecture and inspire my listeners and students based on my personal life experience. I am not as rich as you maybe imagining right now, but honestly speaking, I see myself as one of the most promising young people in Nigeria presently, and you know? The reason is when I reflect on the wealth of information and knowledge I have, I just thank God for my life, and when I look back and see some of the people my information and mentorship has made successful, I just smile with great fulfillment and also wish to do more. For those who don't already know, please do have it in mind right now that Nigeria's economy is in total shambles...and will even get worse in the coming months, so prepare yourself for a tougher days ahead. This is no time to start rejecting things religiously, this is the reality on ground; our economy is falling under gravitational force, and only God can save us right now. If you are working in a company right now and receiving good pay, please start now to plan ahead of rainy days ahead...start now to have a backup plan in case you become one of those employee of your company that will be laid off in the coming weeks from today. No need running to your Church or Mosque for special prayers against job sack letter, just start now to save and put up a plan B and C if possible because your company must lay off staff sooner than later. Okay, I am not just here to talk about the economy or to scare you, I am here to give you some great solution to making steady income on your own without working for anybody. When I lost my job, I thought my whole world has come crashing on me, but little did I know that God was about to open my eyes to more reliable ways to earn steady income on my own without depending on any man or woman to decide my future in the name of giving me a job. 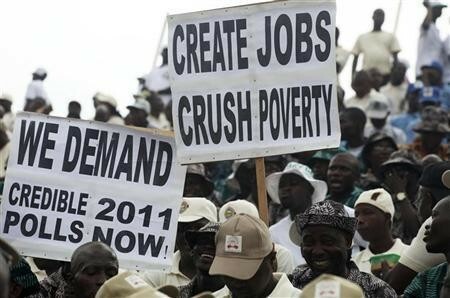 Please, I am not condemning paid employment, and neither am I here to discourage those working in paid jobs, but please if you are working in any company right now; be it a multinational oil company, shipping firm, FMCG, telecommunication or international bank, please don't relax because anything is possible when you are on someone's payroll. The world is not fair, you might be amongst the best staffs like me, and still end up being laid off....in fact, from my experience and stories I have heard or read, it is always the best and loyal staffs of companies that gets laid off most times during company retrenchments and you know why? Because most times, the best and loyal employees of companies don't always have god father or connection with the top management and the HR team, and you know the world is not a fair place, so these top managers and the HR teams will rather lose their best employees than watch those employees under their god-father umbrella to be laid off during retrenchments...so the best thing you can do for yourself if you are working for any company right now is to have a plan B and C if possible. Don't get comfortable with the fat salary and allowances you are receiving now...things change....look at Goodluck Jonathan and his PDP colleagues today; the table has turned against them now unlike in the past 2 to 3 years. Sam can happen to anybody irrespective of your current salary, company or position, so start now to prepare for a rainy day ahead...and if it doesn't come, you thank God...but if it comes, you won't be shocked and shattered. First, do you know that no matter how difficult the economy of any nation is, there are five things every citizen of that nation must do whether they like it or not, and whether there is war or not? Now, ask yourself: what are those five things every nation cannot do without no matter the economy situation? No matter the hardship in a country, people must eat. Food is a daily necessity everybody cannot do without, so if you want to position yourself for a sustainable income in this difficult time, then think about food business. It can be mini restaurant, buka, sales of food stuff, etc. If you need more info, I am ready to mentor you to success in this business. 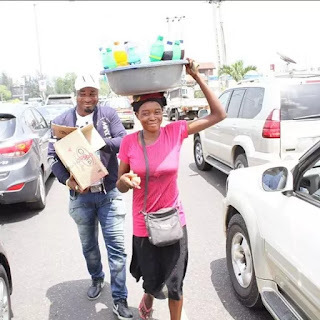 As the economy crunches, people are under pressure, stress becomes rampant amongst the citizens, hence the increase in the number of people falling sick on daily basis as a result of either poor feeding, stress, etc. So think about establishing a business that will meet the medical needs of Nigerians; pharmacy, laboratory test centers, hospitals and medical supplies will witness a boom in the coming months, so find a way to get into this sector. Even in war, countries still need clothing. Looking good is something most people, especially the females don't joke with because their looking good and dressing sweet can attract a potential suitor or lover who maybe financially loaded enough to take them away from their poverty condition. Same applies to guys; dressing smart and appealing can win you a financially able lady who would work diligently with you to success. So think about the potential in this business. Even as the economy is hard, people can't stop spending on communication. People want to stay connected to their loved ones, business partners and employees, hence, another opportunity for smart Nigerians to make good money. I know that when you hear about communication business, what comes to your mind are MTN, Glo, Etisalat, Airtel and the likes, but that's wrong. Selling mobile phones and it's accessories to people is also a communication business. Providing internet access to people who need it is also a communication business. In fact, any business that helps people communicate is a communication business, and people can't stop communicating because of economy hardship, so why not tap into this evergreen business sector? Forget about ABC transport, Young Shall Grow, God is Good, New Tarzan, DHL, Fedex and the rest....you can still tap into this versed business sector‎ either as a in-city commuter transporter, courier delivery or logistics, street-to-street transportation using tricycle, etc. This is one business sector that never dies...remember, as ecommerce business is springing up and booming in Nigeria‎, there will be more need for local pickup and delivery logistics services in Nigeria, so think creatively. I am an online + offline business person; I don't focus on online business alone while ignoring offline opportunities, instead I find a way to merge the two together to maximize my daily and monthly income....and I must confess that it's been awesome so far. I am willing to coach ambitious and determined youths like me who wish to startup a successful business of their own even with little or no capital...you can always walk into one of my offices in Lagos and I will be glad to mentor you and monitor your progress till you succeed because I enjoy seeing people I mentor become more successful than I am...it gives me super-satisfaction and fulfillment. Shy people hardly succeed in life and in business. If you are shy or ashamed that if Anita or Tina sees you doing this or that business, that she won't like you again or that she will start looking down on you...then you are on your way to becoming very poor! Forget about Anita, Tina, Funke, Chioma, Aisha, Onome and Ikaite because the end justifies the means; once they see you succeeding, they will have no other option than to love you by force....in fact, they will even approach you directly or indirectly....I am not joking. Success attracts ladies....poverty and lack expels women. Ladies love hardworking men...even that dirty looking Aboki that sells provisions and stuff in your area is being admired by some girls and ladies you have been wishing and planning to approach, so guys forget about ladies and focus on becoming successful in what you do and watch how women will flock around you for friendship and more. If by any means the business you find yourself into involves people coming to buy things with cash, please make it a policy not to sell on credit to anybody...when people discover that that's your policy and you aren't compromising it when you see one beautiful Onyinye or Ronke, then they will have no option than to respect your policy...and guess what? They won't stop patronizing you because of your strict policy not to sell on credit, try it and see. When starting a business in Nigeria, please don't start with an interest loan. 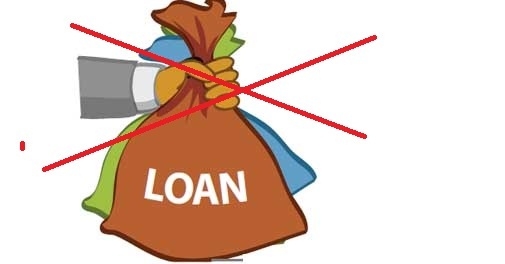 The only lone you are permitted to start with is loan from friends and family members without interest. No matter how attractive the loan offer is, please avoid it...instead look for angel investors...I did found one when I started off...you too can....I can also help tutor you on how to secure angel investors for your great business ideas....who would gladly invest in your business idea. 4. Shun any financially-sapping or involvement relationship or affair! If your boyfriend or girlfriend can't cope with you without you spending on her while you are building up your business, please break up with her or him, she isn't the one for you!